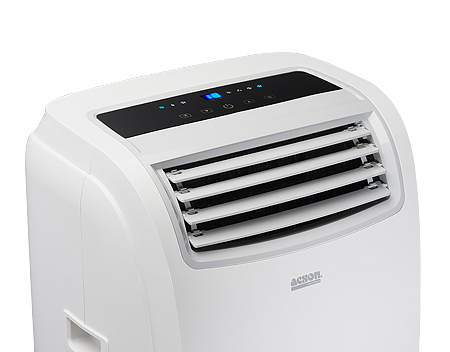 Delight in having all your cooling needs in one smart, compact, and mobile appliance. Nothing is more enjoyable than taking cooling comfort to your cozy spot in the house. Rejoice in freedom from now! Experience mobility in cooling with the equipped caster wheels for easy portability. Have peace of mind with the easy 5-minute setup. Portable air conditioner has never been so blissful. A mixture of 50% R32 and 50% R125, it is a HFC refrigerant with no chlorine and eco friendly. 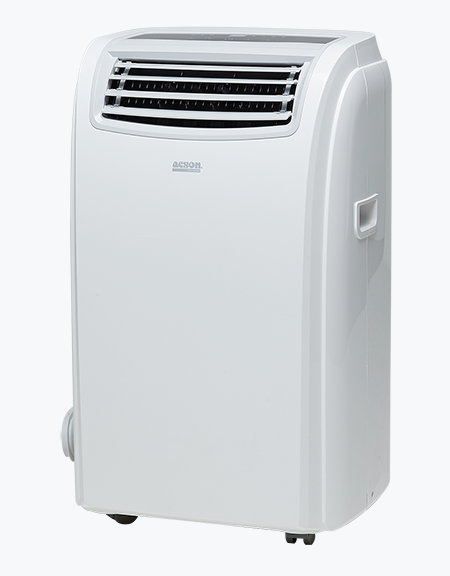 Achieve desired cooling temperature with three different fan speed available. Four different directions of even air distribution and circulation to ensure high level of comfort. Interactive screen display that allows you to control your settings just by touching the screen. Advance yet simple design with big LCD display, wireless remote control that is under your control all times. Comfort and versatility like no other! Delight in cooling any room effortlessly with the caster wheels equipped on the MOVEO to make any room a cooling paradise.